Retailers are trying to con you and they are doing a good job at it. At least they are doing it well enough to be able to con enough people to make the whole Grey Thursday (the new name for those stores that are actually opening on Thanksgiving now) and Black Friday hype worthwhile to them. If you go out and shop on Thanksgiving or the day after, you have fallen prey to the notion that you’re getting a deal and saving money, but the reality is much different. The fact is that when you buy something that you don’t need or that you would otherwise never buy, it doesn’t matter how great a deal it is — you aren’t saving money. A deal is never a deal if you are buying something that you don’t need. A deal is never a deal if you are buying something simply for the price. A deal is never a deal if you end up buying something that you had not planned to buy. Is what your planning to buy going to help you achieve your financial goals? I have to admit that I really enjoy looking for treasure in what other people consider junk. I love to rummage around places looking for weird and unusual items, whether it be at flea markets, garage sales or thrift stores. I spent several years making a living doing this on eBay and although I no longer do it today, I still get the itch to hunt for those great deals I know are sitting there waiting to be picked up. I have noticed lately that it has been getting more and more difficult to score good deals at thrift stores than in the past. Part of it might be due to the hit song by Macklemore and Ryan Lewis (Thrift Shop) which has introduced thrift shopping to a whole new generation of people (warning, NSFW language). When you go to a thrift shop, one of the biggest mistakes that many people make when looking for great deals is that they go to the closest shop to them. What you really want to do is go to the store which is located nearest those who have the highest income in your area. The reason for this is simple. Those people who donate with higher incomes often donate more expensive items and clothes. While these may eventually make their way to the other stores in the area (stores located in higher income areas often get more donations than they can use and send surplus to other stores that don’t get as many donations, but it is usually items that haven’t been selling on their store, not new items that have just arrived), you have the best chance of scoring a really good deal at the thrift shops located in higher income areas. Unlike regular stores which constantly restock items on their shelves, thrift stores often only restock a couple of days a week, with one day usually being the main restock day. Knowing this day and getting their early on it gives you the opportunity to look at the newest items on display before anyone else increasing your chances of finding a great deal than if the item had been on the floor for a few days. You can simply ask one of the workers and they will almost always be willing to tell you their restocking schedule. If you’re hoping to get good deals, you have to go to the thrift shops on a regular basis. You never know when something great is going to come in. Sometimes great deals arrive weekly while other times nothing good seems to come in for months. Since they don’t carry standard merchandise like regular stores, but simply sell whatever is brought in, it’s important to go consistently if you are to score the best deals. The more consistent you are in going on a regular basis, the better chance you have of being there when that great deal is put out on the floor. One of the best ways to score deals at thrift shops is to become friends with the staff. This usually isn’t difficult at all if you are a regular customer. if you tend to buy similar items on a consistent basis, they’ll learn what you are looking for and often let you know when new things that fit your past shopping habits arrive without you even asking. But don’t assume they will. Politely ask them to be on the lookout for your most coveted items and they may even put them to the side for you when they come in to give you first shot at them. 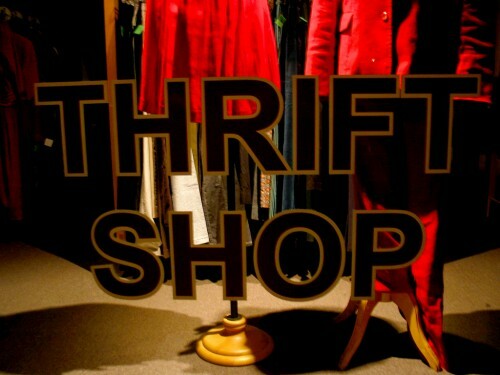 Probably tow of the best times to shop thrift stores for great deal is toward the end of the year and during the spring. In the spring, people are doing their spring cleanings (and many people are getting ready to move) which tends to send more items than usual to the thrift stores. At the end of the year, many people get rid of all the stuff they no longer need to take the deduction on their taxes. In fact, the thrift stores often get so many new donations toward the end of the year that they can’t get all the new stuff they received out until January or February of the next year, extending the quality shopping season. If you live in a college town, a good time to go is when students start packing up for the summer. While these don’t exist in all thrift stores, many have a “new items” rack where the latest items to be brought into the store are placed. if a store has an area like this, it’s the best place to start since not nearly as many people have seen what’s there and the likelihood that a great find has been found by another isn’t as likely. If you are visiting a thrift shop for the first time, ask if they have a new item area because often they aren’t marked well. Another excellent place to look is the “to be displayed” pile. You need to be a little more careful with this pile as it isn’t one that you should officially be looking through, but it’s just for that reason that it makes it an excellent place to score great deals. What many thrift shops will do is make a pile of the latest items that need to be placed on the floor in an area in the store near the storage room. These are items that need to be placed on the floor when the staff has time. They sometime create this pile to make it easier for staff to place it on the floor during not as busy times so they don’t have to go back and forth into the store-room. if you can find this pile, you will likely be the first person to go through it. If you are searching for great deals on clothes, one area that many people forget to look is the recently tried on pile of clothes. The reason that this is a good place to score a great deal is because someone thought the piece of clothing was quality enough to try on. That’s a good indication that it was something that they thought had value. Why didn’t they buy it? Maybe the only issue was that it didn’t fit right. Most people walk by this pile without a second glance, but it’s a place where you can find some high quality clothes that others have already found in the shop. The fact is that when you are looking for deals in thrift shops, you are going to come across things that are beyond your scope of knowledge, and I’ve seen a number of people use their phones as a way to confirm or dismiss whether something they just spied was a wonderful deal. In fact, you can usually tell who in the thrift shop are resellers looking for deals that they can resell at a profit somewhere else by the way that they use their phone to check on things they find while they wander through the thrift store. If you are unsure if something is worth it, but have a suspicion that it might be a great deal, doing a quick search on your phone can be a quick and easy way to find out. 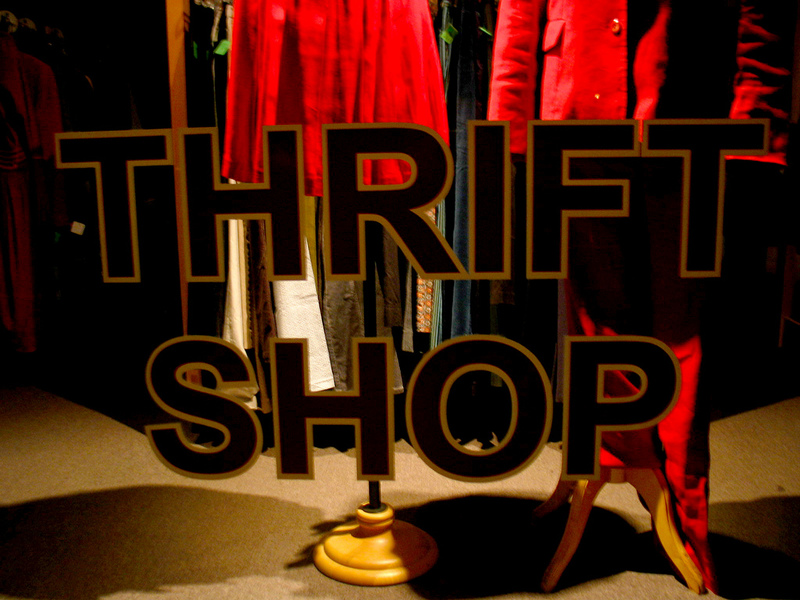 Do you have any special strategies when you go looking for stuff at thrift shops? It seems like daily deals are everywhere these days. Amazon has it’s Gold Box, there are plenty of sites like Woot.com that offer one-day deals on specific items, and the group coupon deal sites like Groupon are proliferating like mad. Even many “regular” retailers have daily specials on their websites. While it is possible to save money using these sites, it’s also possible to waste a lot of money. I got into a bit of trouble with Amazon a year or so ago. After finding a great deal on something I really needed, I started checking the Gold Box every day to see what else I could find. That led to checking the video game and Kindle book deals of the day, too. Pretty soon, I was buying a lot of stuff at Amazon. While some of it was stuff I needed, much of it was stuff I could have done without. I was simply tempted by the deep discounts and, admittedly, the limited time of each offer made my blood rush a little bit. A lot of these daily deals are never used. Many people never redeem the coupons they buy on sites like Groupon. They forget about them and they expire, or they decide it really isn’t something they want to do or can use. A whole secondary market now exists to help people unload the daily deals they bought and don’t want. For sites like Amazon, a lot of the daily deals end up in yard sales or on eBay once it’s delivered and people realize that it’s not so great or they have no place or use for it. It doesn’t take long for the, “What on earth was I thinking?” mindset to take over and for buyer’s remorse to set in. If you’re hanging out on these sites every day, get ready for a lot of remorse. Before you get sucked into the next “great deal,” ask yourself three questions. Is it really a great deal? Sometimes these deals aren’t really that great. Check other sites to compare prices before you jump on the deal. If you can check the price history of an item (Camel Camel Camel is great for checking Amazon’s history), check to see if it’s ever been lower (and thus likely to go lower again at some point). Make certain the item is exactly what you think you’re getting, too. Is it the latest version? Does it have all the features and accessories? Don’t get tripped up into buying old merchandise or stripped down products unless you are receiving a very deep discount. Also watch out for deals that advertise a discount of, for example, sixty percent. You need to know if that discount is off the full retail price, or the price that the item usually sells for. Many times a product carries a suggested retail price, but the site usually sells it for less than that. So if they’re advertising 60% off retail, that may only be 20% off the price that it usually sells for on the site. It’s still a discount, but not the huge discount you thought you were getting. Know your prices and realize when a deal is a deal and when it’s just marketing hype. Would you have bought it anyway? If you’re really in the market for a spa treatment, a 50% off deal can be a great thing. But if you weren’t thinking of going to the spa until you saw the deal, you’re probably wasting money. If the deal is something you were in the market for anyway, you can save some money. 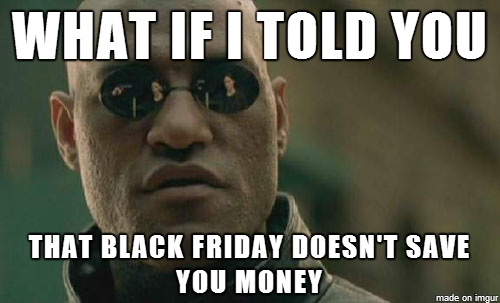 However, if it’s something you’re buying just because it’s discounted or looks fun, pull back and think about it. Chances are you’ll realize you don’t need or want it and be glad you saved the money. If, six months down the road, you find you’re regretting not buying that deal on sky diving lessons, it will probably come around again or you can work at finding another deal. Chances are, though, that you will have long forgotten about it. Are you simply feeling the rush? These sites are genius, in a sick kind of way. They know that people love the lure of limited times and quantities. They know that people like to feel like they’re in on something that other people missed out on. They capitalize on all of this, using slick language, ticking clocks, fulfillment meters, and quantity left countdowns to get you all amped up to buy into this deal. When you’re about to buy something, stop, breathe, and ask yourself if this is really something you want or need, or are you just feeling the rush? If it’s the later, walk away. As with anything, make sure you read all the fine print and terms and conditions. Know exactly how long you have to redeem any coupons and make sure you can use them within that timeframe. Make sure you understand exactly what you’re getting. If it’s a service, know what’s included and what’s not. Will you have to tip at the spa, for example? That can add on to your bill. If it’s a product, know what features are included. Print out any pages that you might need to resolve discrepancies or arguments that arise if you don’t get what you were promised. Daily deals can save you some money, but you can also waste a lot if you’re not careful. Be smart when buying daily deals and don’t let the rush (or other people) talk you into things you don’t need and can’t use. One side effect of a down economy is that many retailers end up going bankrupt or closing unprofitable locations. They are then forced to liquidate their assets and have sales in order to clean out the stores. Very often, even the fixtures end up for sale. With more and more retailers going out of business, this is your chance to pick up some real bargains, right? Not necessarily. The liquidators run the show, not the retailer: When a company goes into bankruptcy, the retailer is no longer in charge. The liquidation companies operate the business, not the retailer. That means that they are not required to honor the policies of the retailer. They do not have to price match, price adjust, accept returns (even on merchandise that was purchased before the bankruptcy), or honor service agreements. In other words, everything you loved about your favorite retailer is gone, replaced by a liquidation company that is intent on wringing every dollar possible out of the sale. Prices are often higher than or, at best, the same as other stores: When the liquidators take over, they often raise prices before marking the items down in order to make a little extra money. 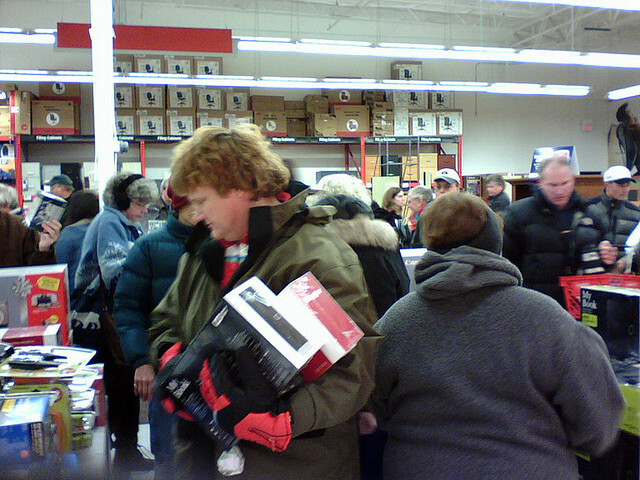 They know that people think liquidation sales offer bargains and will often buy without comparing prices. They take advantage of the consumer’s gullibility and there’s nothing illegal about it. So that toaster that was $15 before the liquidation sale now carries a “before sale” price of $20. Then the liquidator marks it down 25% which puts it back at $15. Many people think it’s a deal, not realizing that if they’d bought that same toaster before the “sale,” it would have been the same price. You can’t use coupons, gift cards, store credits, or even store credit cards: If you’ve been holding on to a coupon, store credit, or gift card and think that a liquidation sale is a fine time to use it, forget it. These payment methods are not likely to be accepted at the sale because the liquidator didn’t issue them and doesn’t want to deal with them. Many won’t even honor the store’s credit cards because the credit department went out of business along with the retailer. Warranties may not be honored and you certainly can’t purchase extra protection: If you purchase something at a liquidation sale and need warranty assistance, you will have to deal with the manufacturer directly. You will receive no assistance from the retailer. If you purchased an extended protection policy through the retailer before the liquidation, you are likely to find that it won’t be honored once the liquidation starts. And if you’re buying something at the sale and would like extra coverage, like a screen breakage policy on a laptop, you won’t be able to purchase that coverage from a liquidator. Limited or non-existent return policies If you buy something at a liquidation sale, get it home and it’s broken, you probably can’t return it. Many liquidation sales are final with no returns. If there is a return policy it is likely to be very restrictive and may require return within 24-48 hours with all kinds of exclusions, fees, and hassles. If you really want to dispute the item, you may have to do it with your credit card company, but watch out for number 6 below. Payment methods may be limited: In addition to not accepting gift cards or coupons, some liquidators won’t take checks. Some even won’t take credit cards so they can avoid the fees. If they won’t take credit cards, you lose any after sale protection your credit card might offer. So what is the consumer to do? Should you always avoid liquidation sales? The answer is no, but you have to act wisely and not just blindly assume that a going out of business sale is the best deal. First, as with any sort of shopping, know your prices before you hit the liquidation sale. That way you’ll know if the liquidator is tinkering with the markdown numbers or if you can get a better deal with a coupon elsewhere. (Some competing retailers may take coupons or gift cards issued by the bankrupt store just to get your business.) Often the best deals are found late in the sale after the liquidator has moved all the merchandise he thinks he can at the higher prices. When that happens, the markdowns are likely to get better. Your best bet is to watch and wait for the prices to come to you. Second, understand the policies and terms of the sale before you buy. Can you return the item? Will the manufacturer honor the warranty? What payment methods are accepted? Will they price match or price adjust during the sale? If the answer to any of these is no or in any way makes you uncomfortable, make sure you can live with it before you buy. Third, protect yourself because you’ll get no protection from the retailer. Avoid problems by making certain the merchandise is in good shape before you buy. Plug things in and make sure they work. Take items out of boxes and account for all the parts and make sure they’re free from damage. Check clothing closely for stains or tears. Check with the manufacturer of big ticket items and make certain they’ll honor the warranty. Pay with a credit card if possible (but make sure you can pay it off before the due date) to get their consumer protection policy. Finally, unless you’re getting a stellar deal at the sale that you know you can’t beat elsewhere (and you know the merchandise is in good working order and you won’t have any problems with it), consider buying from a retailer that is still in business. You’ll be protecting yourself from potential problems and helping another retailer to stay in business. There’s nothing wrong with liquidation sales and it is possible to score some deals. Just don’t fall for the hype surrounding these sales. The liquidators think you’re gullible. Show them you’re not.